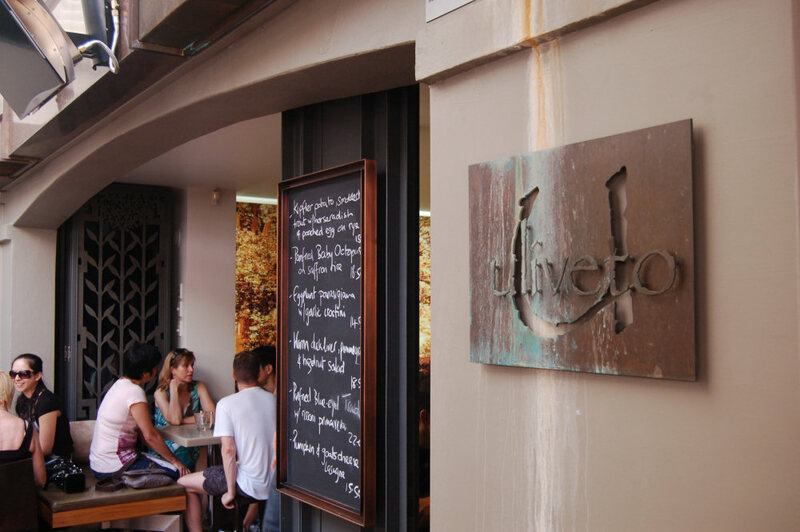 Named after the olive tree that sits outside, Uliveto attracts big crowds on the weekend. The atmosphere is calm, friendly and laid-back. 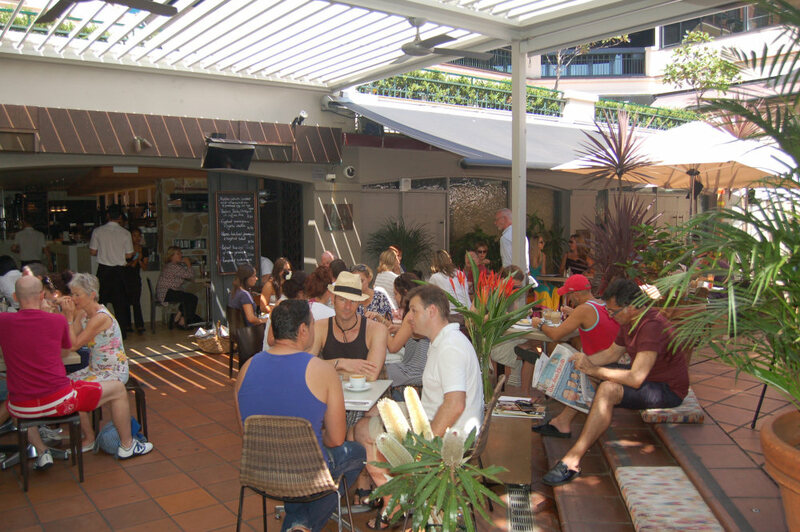 The outdoor seating is a mixture of stools, benches and even the steps of the courtyard itself. Inside is more ample seating with a long bench along the wall and plenty of chairs. The waitstaff are happy to bend of backwards to please you. They are also more than willing to join you for a chat, discuss the menu and explain the food to you. The owner, Walter is also extremely warm. You know you’re in good hands. Our table dove straight into some freshly squeezed orange juice ($6.50). 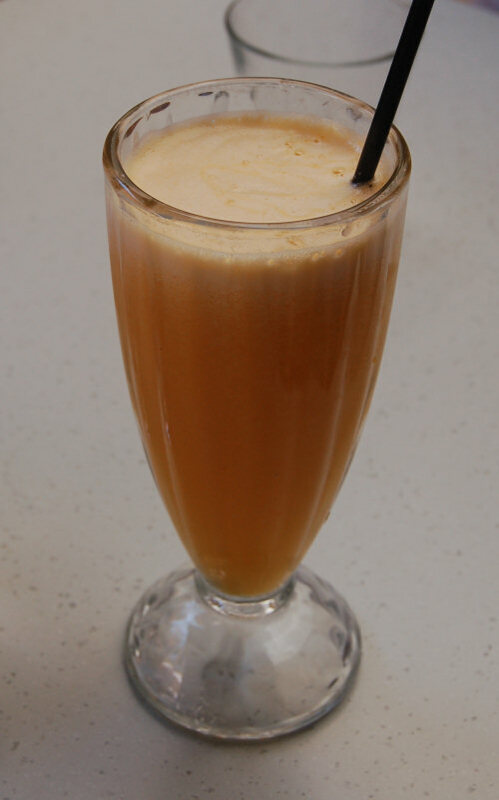 The other choices of fresh juice were apple, pineapple, watermelon, celery, carrot, beetroot and ginger. There was also a $7 fruit juice option of orange blended with banana. No problems with the juice here. It was fresh, cold and the serving was large. 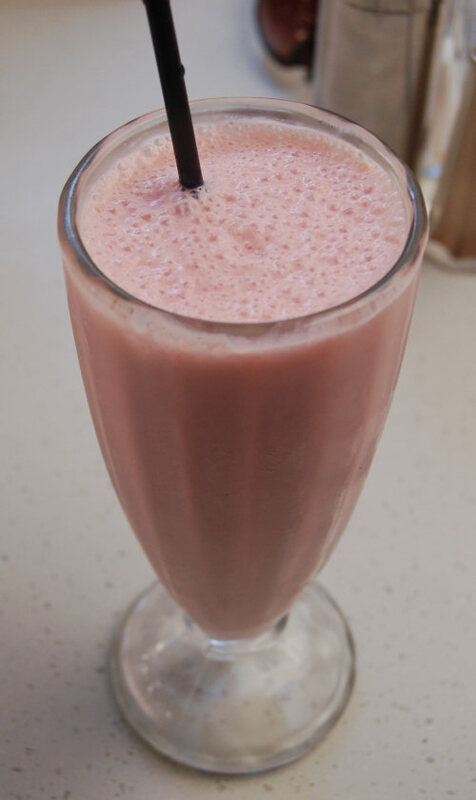 Being the strawberry smoothie junkie I am, I couldn’t resist the intriguing-sounding buttermilk smoothie ($7). The options are banana, passion, mango, raspberry, strawberry and blueberry. Your mouth is watering, right? The flavour was fantastic, slightly zesty and plenty of fresh strawberries. I’ll be going back to try the other flavours soon. The coffee used at Uliveto, is Single Origin (http://www.singleorigin.com.au), is absolutely superb and had our whole table raving. 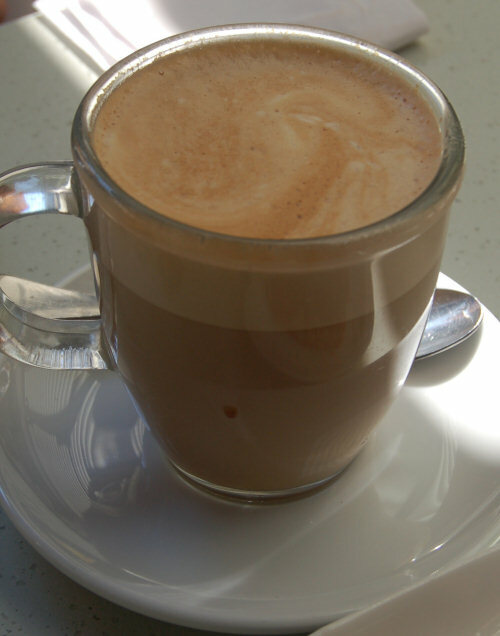 The skim flat white ($3) was made very well and all of the coffee is very reasonable priced for the amount you get. The breakfast sandwich ($11) is not just your typical bacon and egg sandwich. There are also layers of spinach, grilled tomato and a herbed tomato tapenade. In the picture above you have probably noticed the lack of bacon. The sandwich came to us without bacon but as you can see by the score, this did not matter at all. The manner with which you are cared for at Uliveto made the missing bacon seem like a non event. Minutes later a side plate arrived with plenty of trim bacon served by Walter himself as we discussed with him things such as the clientèle, location and Uliveto’s marvelous collection of cakes and desserts. Back to the breakfast sandwich and the combination of all of the ingredients made for a great breakfast. 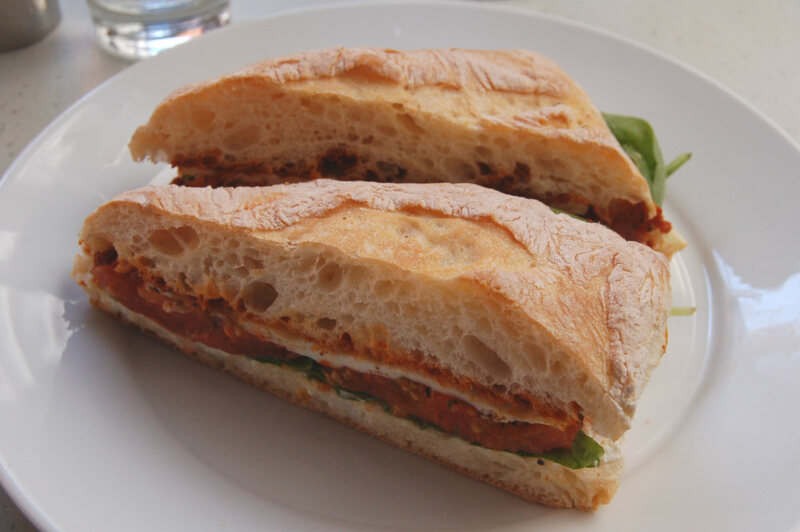 There was also a small amount of ricotta underneath the spinach – you can’t go wrong ordering this. Plain old bacon and eggs can be livened up so well when it’s cooked properly. 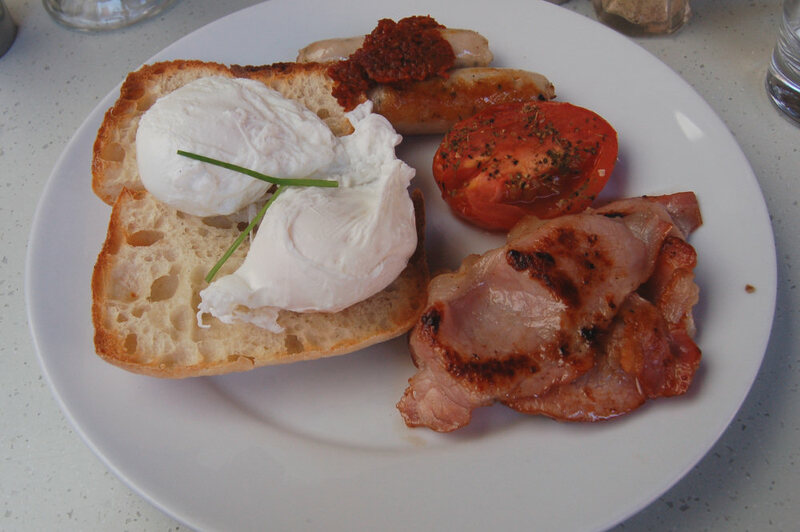 The Uliveto breakfast ($12.50) consists of two free range eggs, bacon, grilled tomato, chicken chipolatas and toast. The poached eggs reminded me of the perfectly made ones a week earlier less than a five minute walk away at tigerbakers. They had been cooked just how each of us liked them – the bright yellow yolk just the right consistency. Normally dangerous terriory when it comes to breakfast (mainly because it’s so hard to find good examples), the chicken sausages tasted amazing. They were topped with more of the tomato tapenade which was a good match for the eggs. The one complaint about the dish was that the toast was just too hard and crusty to cut through. We’ve seen two examples of baked eggs before in our exploits (Fouratefive and Bar Sirocco). They are all fairly similar dishes, each with their own redeeming traits. 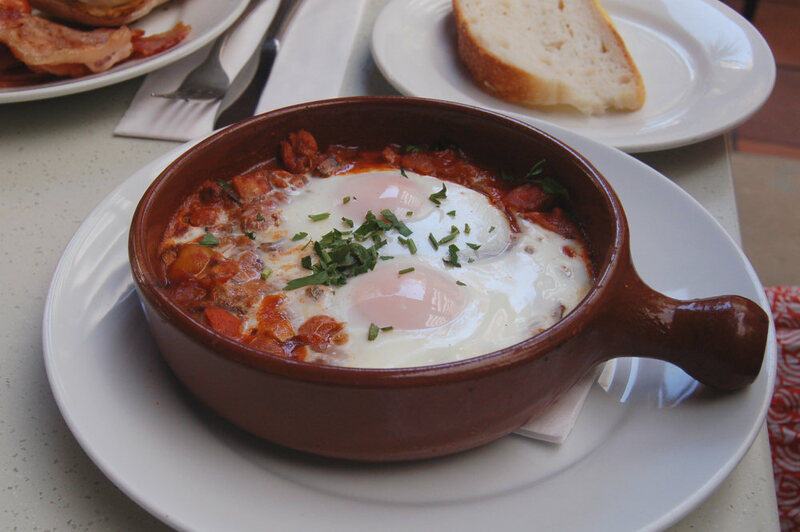 This baked eggs ($14.50) is Spanish style as opposed to Moroccan and is on par with the dish from Fouratefive. What it lacks in the flavour combination of the labne and almonds it makes up for in the sheer eruption of flavours from the dish itself. Packed with chorizo, capsicum and vegetables, spices and herbs too numerous to mention, we found ourselves rubbing the bottom of the pot with bread to soak up what was left. If you can only taste one dish from Uliveto, I’d say make it this one. The fruit salad with muesli and yoghurt (which we asked to be left on the side) ($11.50) came as yet another very generous serving. The entire dish was a success. 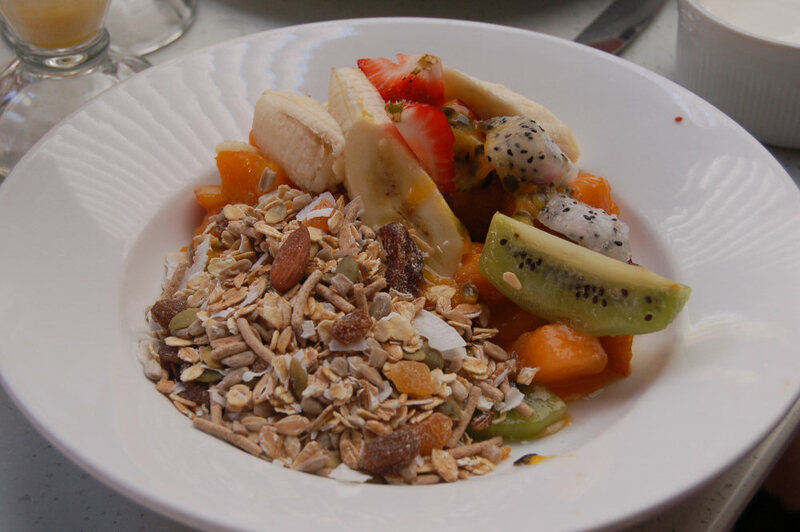 The muesli was flavoursome and full of fruits and nuts to take it from “just muesli” to something worth remembering. The fruit salad was our first sampling of dragon fruit and was a nice addition. The other fruits in the salad were nectarine, rock melon, banana, kiwi and strawberries all mixed with a fresh mango sauce. 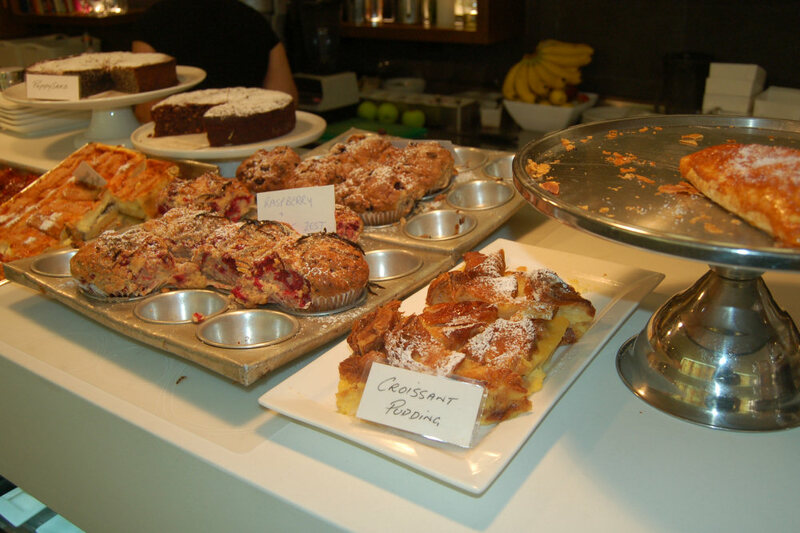 Cakes, muffins & pastries oh my! After breakfast, the stories we had heard about the cakes from Uliveto enticed us inside. A combination of in-house and out-sourcing to dessert chefs, the cake counter is a feast for the eyes. We recommend you save room. 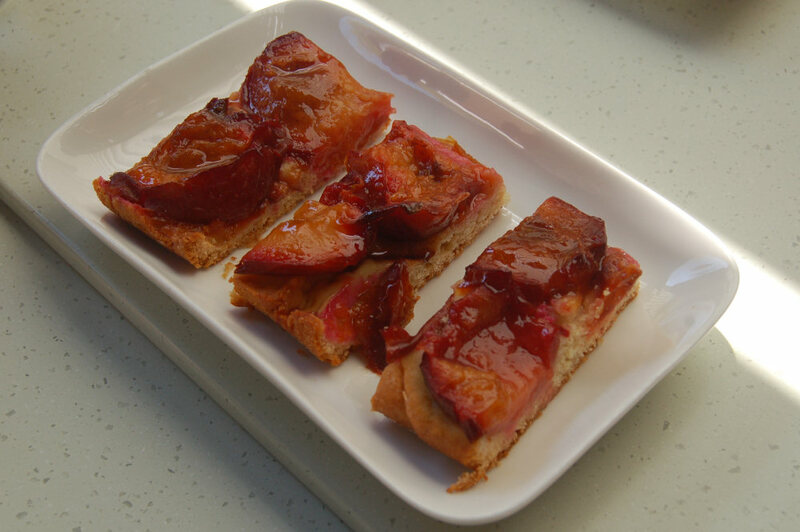 Walter brought us two plates of plum tart himself. The pastry was moist and crumbly, the plums themselves sweet but slightly tart. For someone who prefers savoury dishes to sweet, even I found myself asking for more!